What elements of my current landscape would I like to keep and eliminate? What kind of materials do I want incorporated into my design? What do I want my landscape to say or convey? What examples would I like to emulate? What kind of an impression do I want my landscape to make? Will I continue to love what I’ve decided on for years to come? Your next step should be contacting us here at Kable Landscaping. Whether you have a fully formed vision of your landscape design or would like us to develop a concept for you based on your unique needs, our goal of creating a beautiful and functional landscape design begins with the partnership we develop to design an innovative plan meets your needs. Kable Landscaping utilizes the latest 3D Computer Design to develop superior designs for all of your landscape needs. Provide our client with what they want, and deliver on their desires. When you work with Kable Landscaping, you’ll not only be working with a company with years of industry experience creating, installing, and making people’s visions come to life; you’ll also be investing your time and hard-earned money into something that will last for a long term. Thanks to the efficiency, professionalism, and hard-working qualities of our crews, you’ll be able to trust the service you receive from concept to creation. We treat every project that comes across our path with the utmost integrity and respect. You’ve got the ideas – we’ll take it from here. 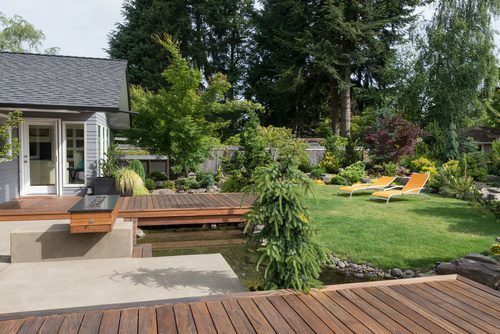 If you are ready to have the landscape design of your dreams for your home or business, call us at (989) 695-5222 to schedule your free consultation. We look forward to hearing from you!